A new modern town house located inside the Albufeira Design Villas complex in the residential area of Correeira, just 15 minutes walk to the bustling town of Albufeira the strip and he golden beach at Fisherman’s bay and just a ten minute walk to a good selection of other shops, bars and restaurants. The location is superb. Absolutely splendid location in an exclusive private residential area in the heart of Vilamoura. A spacious four bedroom villa located in its own grounds, and within walking distance of a supermarket. Fabulous location, just five minutes’ walk from the famous ‘Old Village’ complex, with a great selection of bars, cafes, restaurants and supermarket and within easy walking distance of the heart of Vilamoura’s marina, shops and beach. Villa Silver is a holiday villa located between Loule and Almancil. This tastefully furnished, high quality villa, set in its own grounds, is a 5 minute drive from the town of Almancil with all the bars/restaurants that it has to offer as well as the excellent Apolonia supermarket. This comfortably furnished, one level traditionally styled villa is in an excellent location for enjoying all the facilities in the resort of Praia da Oura/Montechoro, just a short stroll from the famous ‘Strip’. This comfortably furnished, one level villa is in Cerro Grande an excellent location for enjoying all the facilities in the resort of Albufeira. For 4-6 Persons + Infants. A sophisticated villa who offers all the comfort for a great holiday. For 8-10 Persons + Infants. Located in the heart of Albufeira, in a very calm area and 1,7 km away from the beach. In a fantastic location, just 300 metres from the glorious sandy beach at Praia da Gale and within a 5 minute walk to a varied selection of local bars, restaurants and shops. For 10-12 Persons + Infants. Villa Gale is a villa to rent in the Praia da Gale area. This traditional villa is in a quiet residential area, only 600m to Gale beach and near to a good selection of local restaurants and bars. Quality, 3 Bedrooms, 3 bathrooms Luxury Villa with Air Conditioning. Large, Spacious & Very Popular Villa, with a Very Sunny Terrace & Very Private Private Pool. Located In Quinta da Balaia, Near Sta. Eulalia & Beach. Luxury, Quality 3 Bedrooms, 3 Bathrooms, A/C Villa. Very Sunny, Very Private Villa, with Superb Sea & Panoramic Views. Perfectly located in Quinta da Balaia. Near Santa Eulalia & Beach. With optional pool heating. Villa Estrelicia, Quinta da Balaia, Albufeira. A/C 5 Bedrooms, 4 Bathrooms Villa with Private Pool & Sea Views. Ref No. 450076. 5 Bedrooms, 4 Bathrooms, 5*Quality Luxury Villa with A/C. Very Sunny, Very Private Villa, with Amazingly Beautiful Panoramic & Sea Views. Located in Quinta da Balaia. Nr Santa Eulalia & Beach. Optional pool heating. Quality 5 Bedroom Villa with Private Pool with a Great Central Albufeira Location . Easy walking distances to Albufeira Old Town & Beaches. Perfectly Located Air-Conditioning Villa. 5 Bedrooms, 4 Bathrooms Villa. 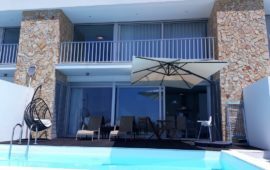 Villa Avo, Gale, Albufeira. 3 Bedrooms, 3 Bathrooms Villa with a Sunny, Private Pool & Near Beaches. Ref No. 1642357. Very Popular, Quality 3 Bedrooms, 3 Bathrooms Villa with a Very Sunny Private Pool. Perfect, Quite Location & from only 900 metres easy walks to several, beautiful, picture postcard “Blue Flag” sandy beaches. The Lovely & Very Popular Villa Ana 3 Bedrooms, 3 Bathrooms Villa with a Very Sunny Private Pool. Perfectly Located in Beautiful Quinta dos Alamos. Easy walking to Guia centre & short drive to Albufeira Beaches. Villa Julia, Tavagueira, Nr. Vale de Ursa, Guia, Albufeira. 3 Bedroom Villa with a Very Sunny Private Pool. Ref No. 497057. Very Popular, Very Private, Villa Julia. 3 Bedroom Villa with a Very Private, Very Sunny Pool, Terraces, Beautiful Garden with Extensive lawn areas. Favourite Villa Location, with many, regular returning clients. Villa Chico, Vale Paraiso, Albufeira. 4 Bedrooms, 4 Bathrooms Villa with a Large & Sunny Private Pool. Ref No. 1642355. Very Popular! With Many Returning Clients! High Quality 4 Bedroom, 4 Bathroom Air Conditioning Villa, Very Large, Very Private, Sunny, Private Pool, With Fenced and Gated Pool. Perfect Relaxing Location & Near Beaches & Old Town. For 8 – 10 people + infants. Villa Jose, Falesia, Albufeira. 4 Bedroom Villa with Private Pool. Close to everything including beaches. Ref: No. 1642356. 4 Bedroom Quality Villa, Private Pool & Air Conditioning. Well Established, Very Popular Villa with many yearly returning clients. 5* Location with easy walks to everything including beaches. Around the corner from Falesia & nearby Olhos Agua. For 8-10 Persons + Infants. A Very Good, Very Sunny, South Facing Terrace & Pool. 2 Bedrooms, Air Conditioning Villa, Private Pool. Great Centrally located, small & homely villa in Albufeira with Easy Walking Distances to Albufeira Old Town & Beaches. For 4-7 persons + Infants. Villa Chendo, Albufeira. 2 Bedroom Villa with Private Pool with a Central Albufeira Location & Near Beaches. Ref No. 1642353. A good & spacious villa with a Private Pool, 2 bedrooms. Good Central Albufeira location, easy walking to Albufeira Old Town & Beaches. 2 Bedrooms, 2 Bathrooms Villa with a Private Pool & large pool terrace. Nobody knows Portugal better than Portugala.com. Superb accommodation, great locations , excellent prices, all personally arranged by Portugala’s own staff here in London and Portugal. Our home is your home for your all too short stay, so like all good hosts, we’ll ensure you enjoy a great time in every way we can.